Ever wonder just what a million of something means? How about a billion? Or a trillion? 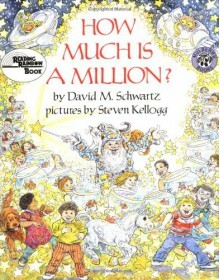 "How Much is A Million?" would be good to read in Kindergarten through second grade. It helps a young student to conceptualize a large number like a million in relative terms and examples. Great pictorial representations of huge numbers.